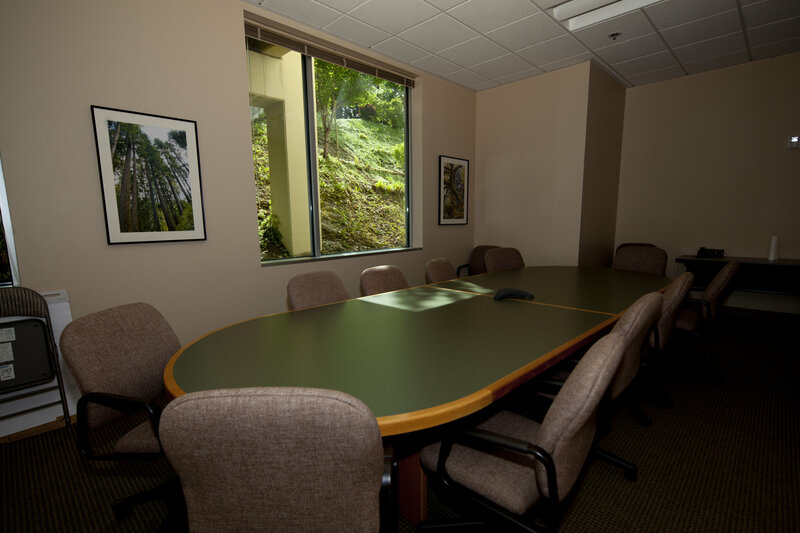 The Green Room is the perfect space for a corporate meeting, holding up to 12 people seated comfortably. Wi-fi is available , and it is equipped with a speaker phone. 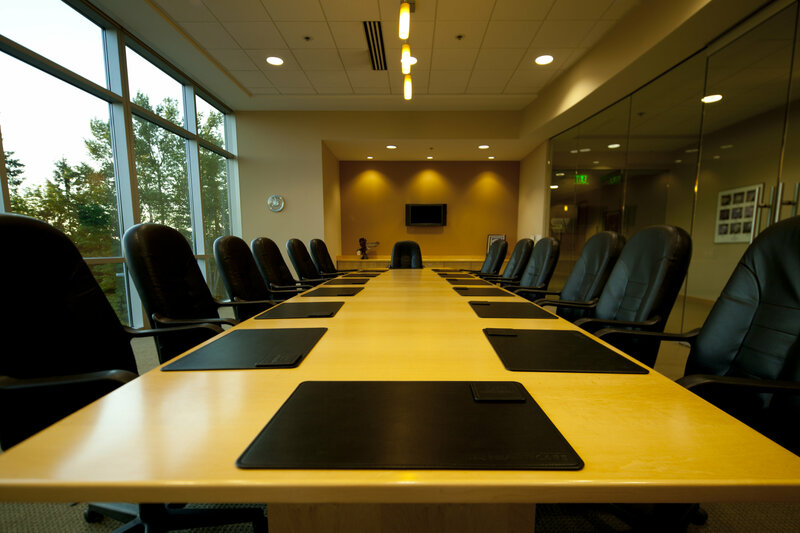 The Olympic Room is a hotel-style conference room that seats up to 100 people. 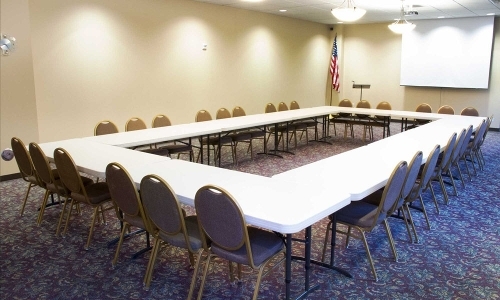 It is equipped with a speaker phone and wi-fi, and set up and clean up are included, as well as tables and chairs. 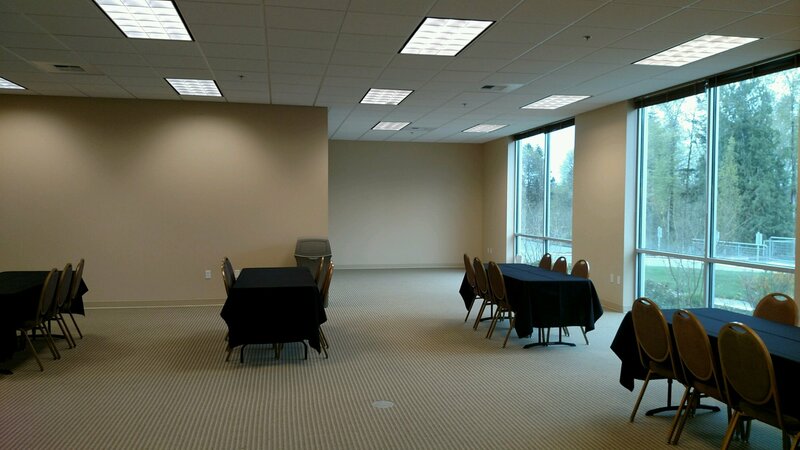 Another view of the Olympic Room with banquet-style seating. Another view of the Olympic Room. 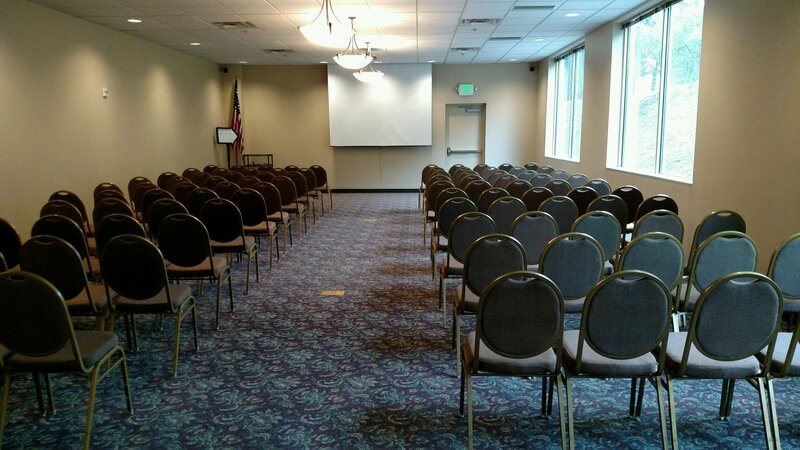 The Harvest Room is a hotel-style conference room with a wi-fi and speaker phone connection, as well as a projector and surround sound setup. It holds up to 100 people. 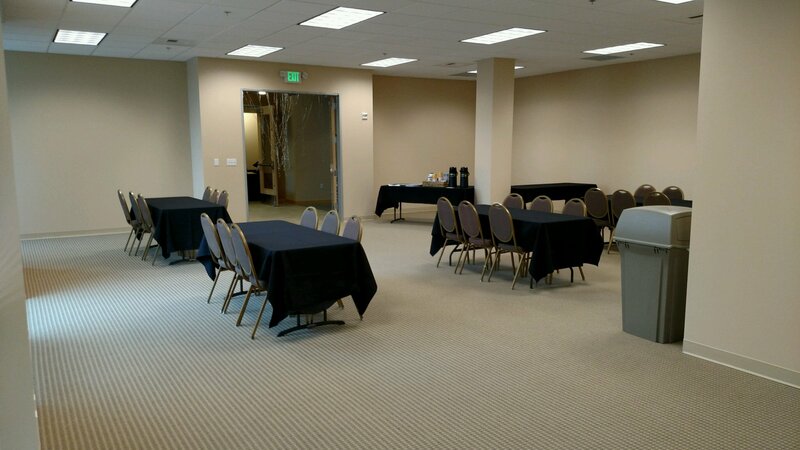 Includes setup/cleanup, tables and chairs, and a full kitchen. 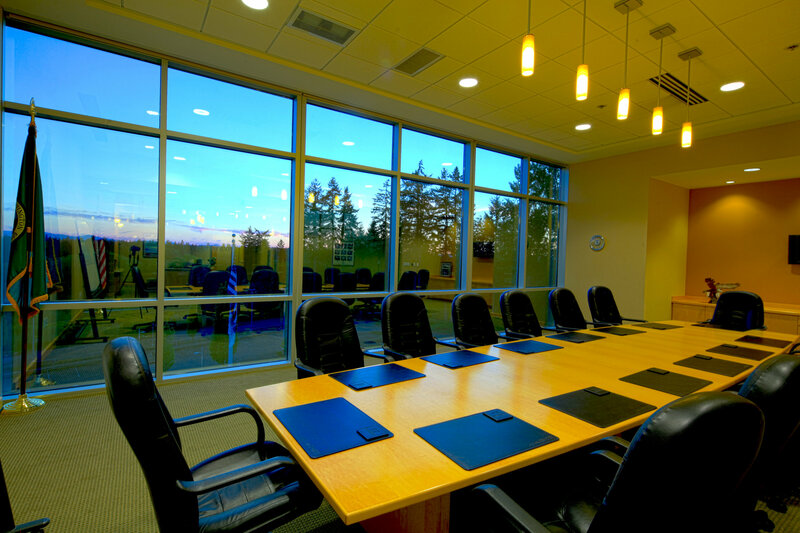 The Blue Sky Executive Room has a beautiful view of the surrounding area. It offers full audio and video, as well as being equipped with a speaker phone. 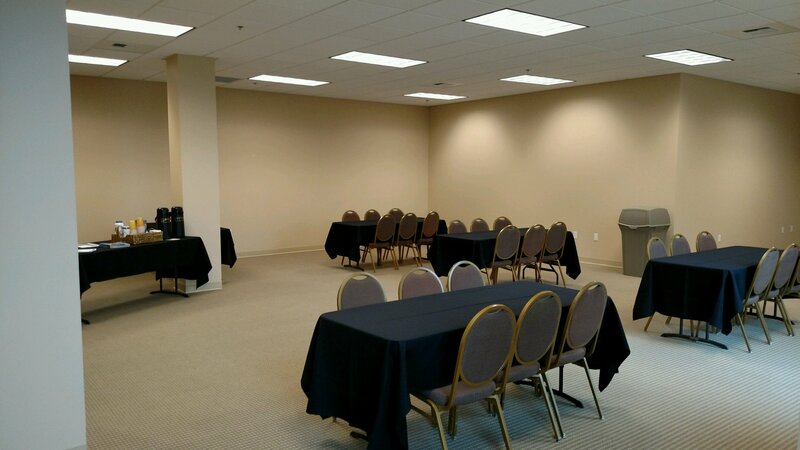 The room holds up to 20 people. Another view of the Harvest Room, which comes equipped with a projector, microphones, and surround sound. 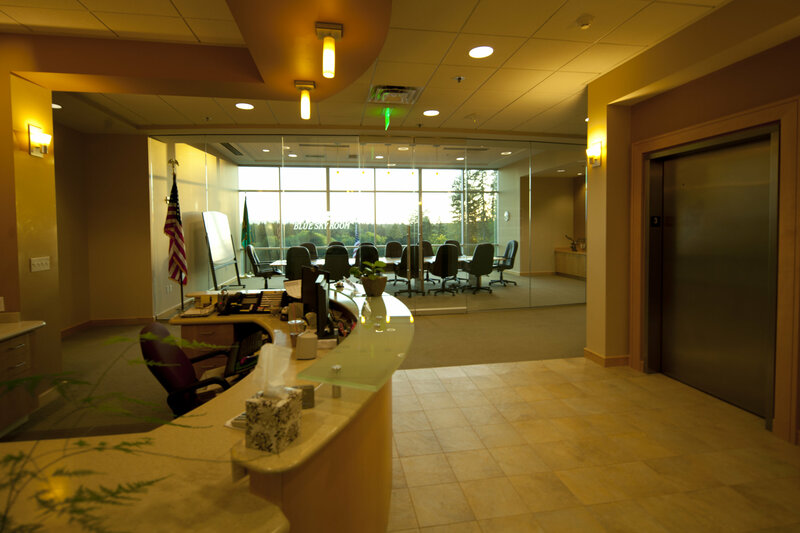 Entrance to the Blue Sky Executive Room, which boasts beautiful views of the surrounding area. 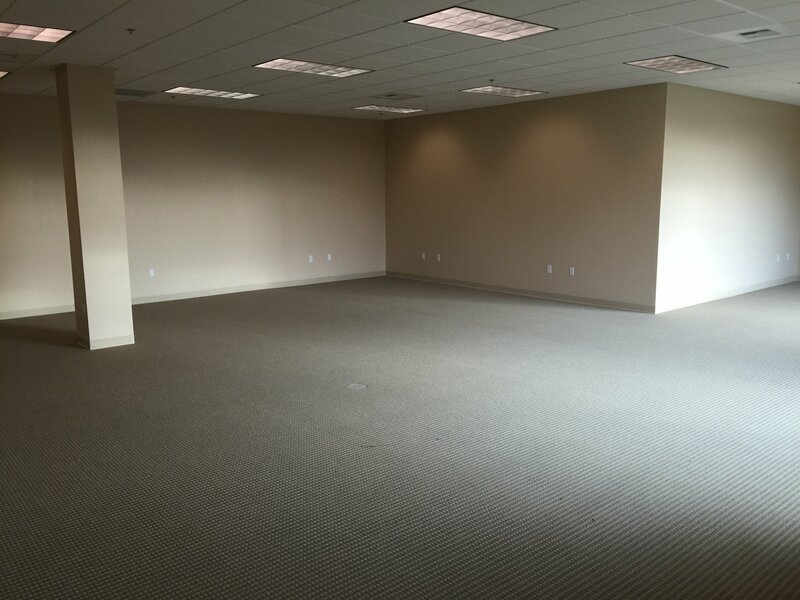 Another view of the Blue Sky Executive Room.